The Laramie River Valley is blessed with a beautiful environment here in the Rocky Mountains of Colorado. While our mountain spring water is clean, our river pristine, we are part of a larger world which faces environmental challenges. Green Power - Our electricity is purchased through our local coop's Green Power program. Green Power is produced by wind, biomass, solar, and hydroelectric generation units in our area. You too can purchase Green Power - read more at here. Environmentally Responsible Purchasing - Where available, the ranch purchases recycled products. Our office paper, disposable paper used in our kitchen, even our toilet paper are recycled products. We've also moved to source our food as locally as is possible when one lives in the mountains of Colorado. Recycling - We recycle steel, aluminum, glass, office paper, cardboard, crude paper, magazines, catalogs, phone books, newspapers, batteries, and recyclable plastics. Our guests have the opportunity to participate via conveniently available recycle bins in your rooms and public spaces. In our back office, we recycle old electronics like computers with responsible recyclers here in Colorado. Composting - The ranch composts leftover foods stuffs, yard wastes, and agricultural wastes. Ultra Low Emission Vehicles - Our passenger vehicles meet California's Ultra Low Emission Vehicle standards that cut emissions to less than half of the emissions of vehicles produced in that year. When available we use biodiesel for our largest horse-hauling vehicles. Clean Air - We have replaced our dirty two-stroke engines (lawn mowers, weed trimmers) with cleaner four-stroke models. 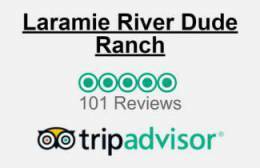 Water Conservation - The ranch employs low-flow toilets, showerheads and faucet aerators. The Burleigh family tested close to a dozen showerheads to find low-flow models that saved water while providing a comfortable and satisfying shower. Energy Efficient Lighting & Appliances - The ranch employs energy efficient lighting, solar lighting, and timers to save electricity. Our night sky remains dark and clear for star gazing. We use Energy Star appliances like washing machines and dryers. Integrated Pest Management - The ranch uses as few pesticides and herbicides as possible and only the most environmentally benign options available. For mosquitoes, we use BTI, a bacteria found in nature. Green Web Hosting - We use DreamHost for web and email hosting. DreamHost completely offsets its use of electricity by various means. Check out the very reasonable rates at DreamHost.